It's a stacking toy with a spin - literally! Drop the vibrant discs onto the threaded corkscrew pole and watch them spin onto the reversible base. Each disc is dual-colored, and from largest to smallest, they form a dynamic rainbow. 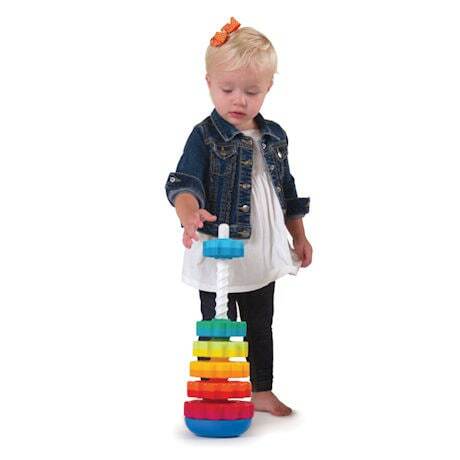 Great for hand-eye coordination and baby engineering skills. Coated plastic discs are solid and BPA-free. Ages 12 months and up.